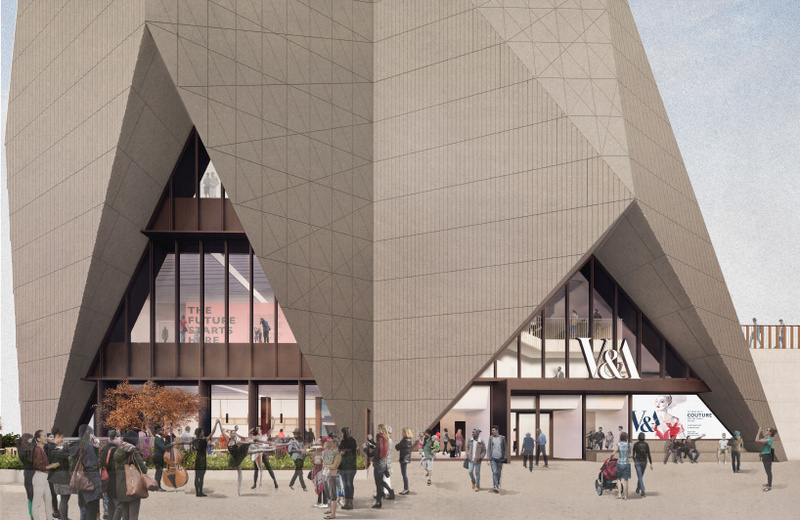 the V&A has unveiled plans for a pair new sites to be built in london’s queen elizabeth olympic park: a museum designed by o’donnell + tuomey, and a collection and research centre by diller scofidio + renfro. 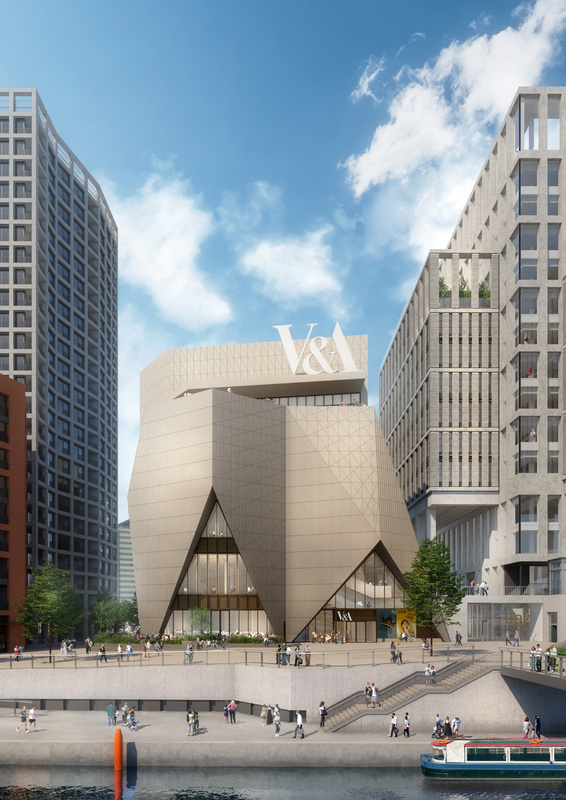 billed as ‘V&A east’, the two buildings are scheduled to open in 2023 as part of ‘east bank’ — an ambitious £1.1 billion development that seeks to build on the legacy of the city’s 2012 olympic games. 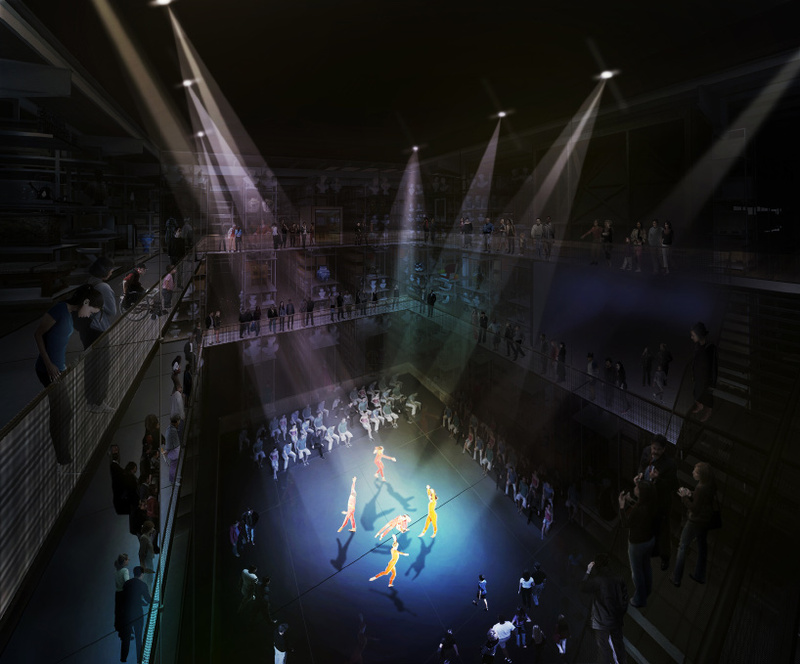 designed by dublin-based firm o’donnell + tuomey, the new five-storey museum building will ‘provide a panoramic view of the designed world, and offer contemporary and cross-cultural perspectives’. two galleries will showcase the full range of the V&A’s collections, with a program of major exhibitions sitting alongside new commissions, installations, and interdisciplinary collaborations and projects. 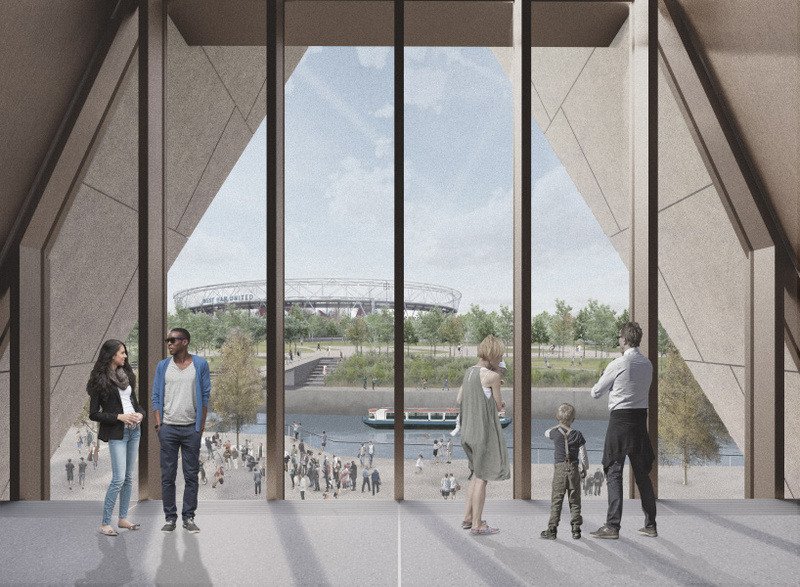 meanwhile, three outdoor terraces will offer sweeping views across the adjacent olympic park. 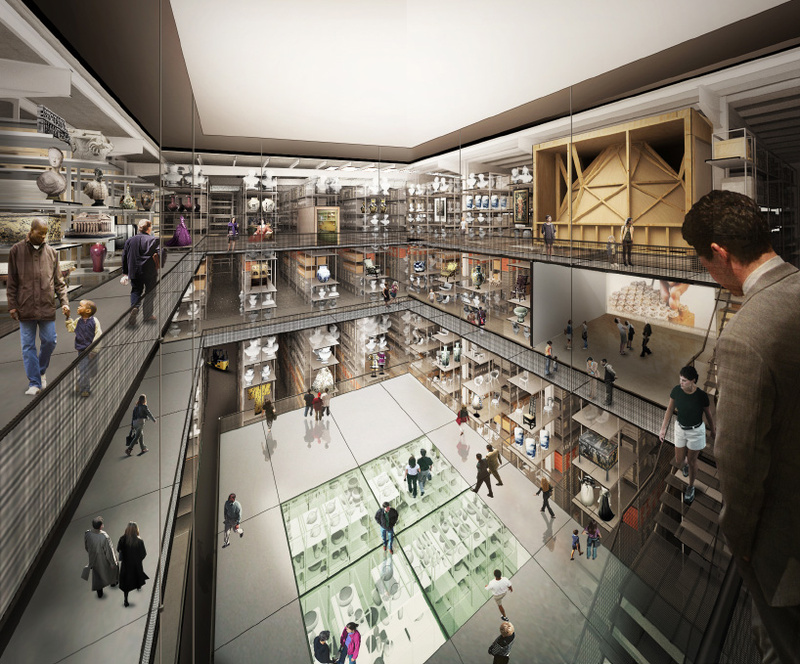 the museum’s inaugural exhibition in 2023 will be a co-production by the V&A and the smithsonian — the world’s largest museum and research complex. the partnership seeks to bridge the fields of art, design, science, and the humanities by exploring issues and themes that resonate with contemporary society. 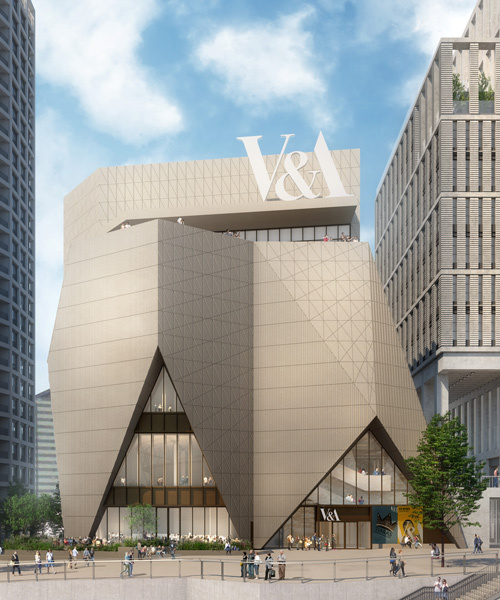 a ten minute walk away, the V&A’s new collection and research centre has been designed by diller scofidio + renfro, supported by austin-smith:lord. here, visitors will be invited on behind-the-scenes journeys that uncover and demonstrate how and why objects are collected, how they are cared for, conserved, researched and displayed, and how they help make sense of our past, present and future. 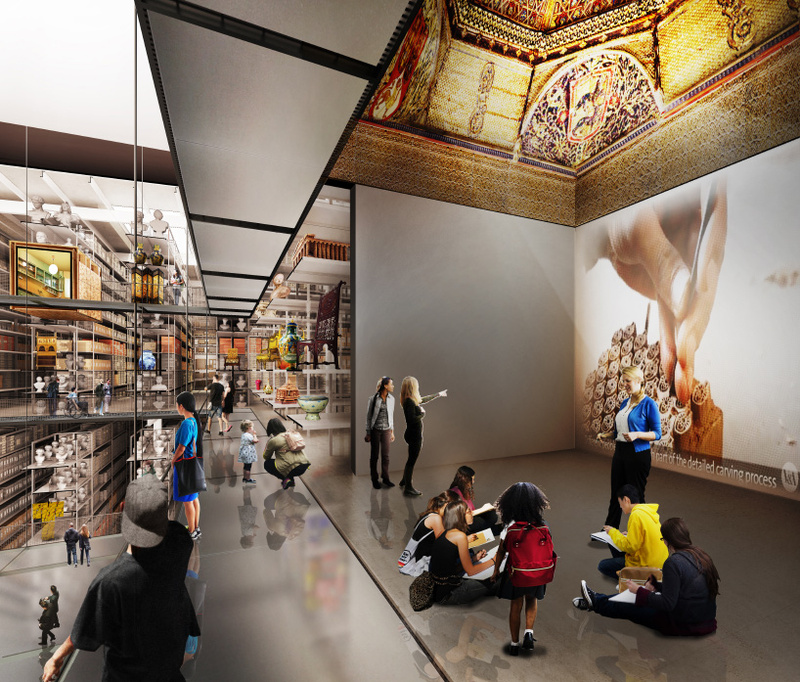 the centre, which promises to ‘reinvent the idea of a museum store’ will be a purpose-built home for 250,000 objects and an additional 917 archives spanning the breadth of the V&A’s collection. 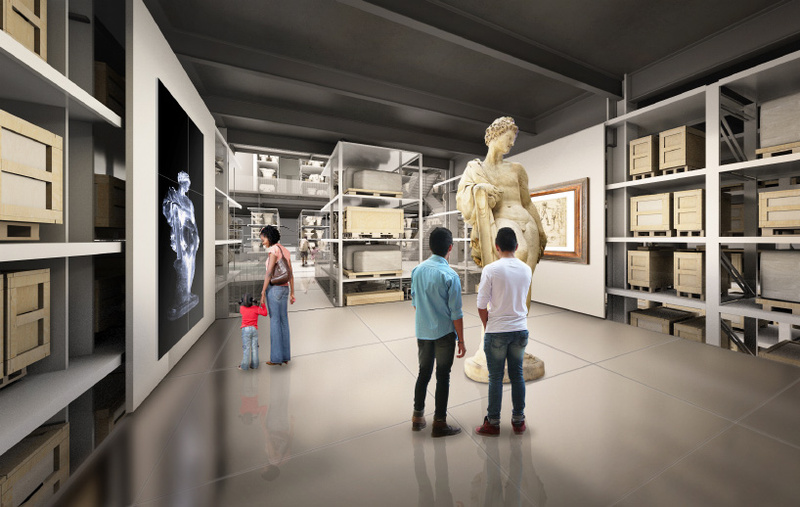 a central public hall will present a rich array of objects on rotating display for visitors to explore. highlights will include frank lloyd wright’s 1930s office for edgar j. kaufmann — a unique and complete 20th-century plywood interior — and a 15th-century marquetry ceiling from the now-destroyed altamira palace near toledo, spain. other areas will host pop-up displays, workshops, performances, and screenings alongside live encounters with the museum’s work — from conservation and research to exhibition preparation. 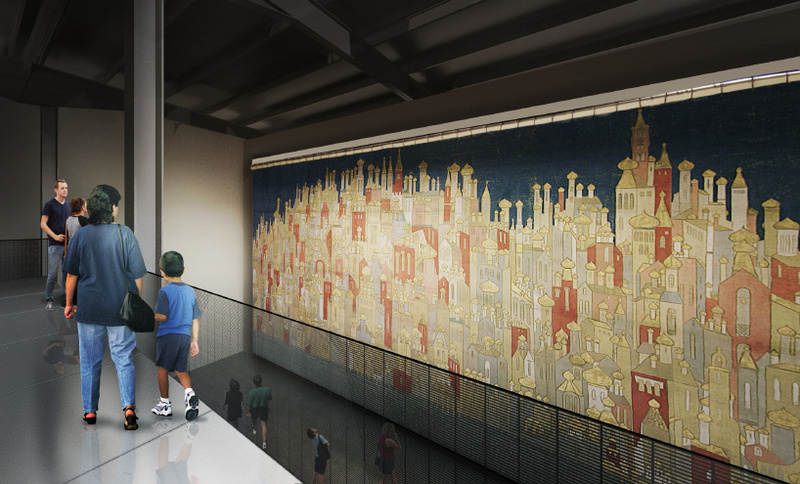 in addition, a dedicated viewing gallery will be created to showcase a changing display of rarely-seen large rolled objects from the V&A’s collection of theater stage cloths, carpets, textiles, tapestries and paintings.